*This product is supplied without a calibration certificate. For the calibrated version please click here. The Lascar EL-USB-2+ is a battery powered standalone highly accurate temperature & humidity data logger that is capable of measuring more than 16,000 readings over a -35 to +80°C temperature and 0 to 100% humidity range. Incredibly easy to get up and running it’s easy to view and download the logged data by plugging the EL-USB-2+ into a USB port and utilising the free EasyLog software that you can download. The data logged by the EL-USB-2+ can be graphed, printed and exported to another application for you to analysis in detail. Supplied with a ½ AA (LS14250) battery and a wall mount clip. 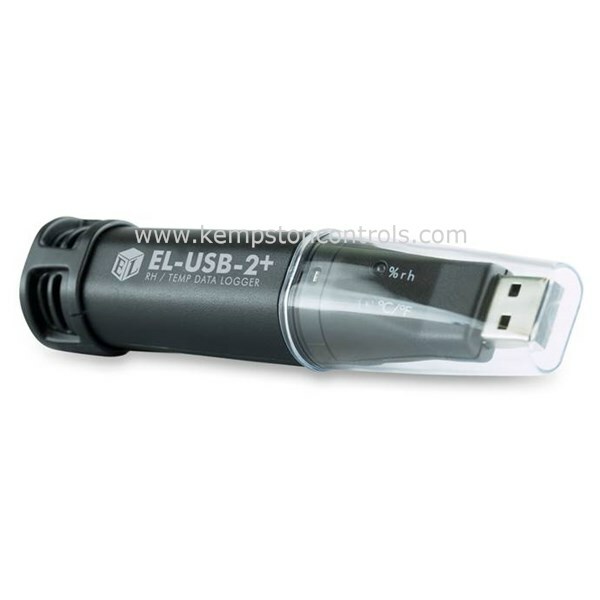 The EL-USB-2+ may be pocket-sized but it’s a durable and very capable data logger, suitable for a wide variety of applications in a multitude of industries, such as facilities management, environment data gathering, agriculture and animal welfare, veterinary activities, housing, business, museums and exhibitions. Please Note: This item is fully functional but does not come with a calibration certificate, however, a calibrated version is available. Click here.